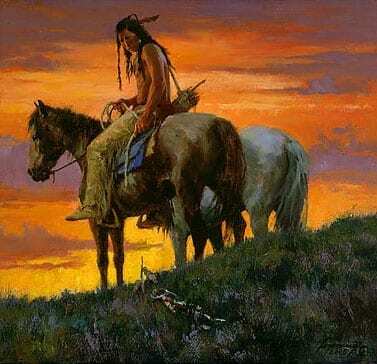 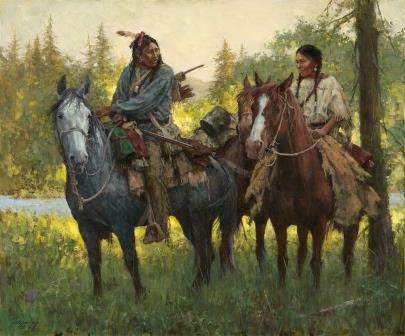 When it comes to excellence in Western Art, Howard Terpning is the name that heads the list of fine artists. 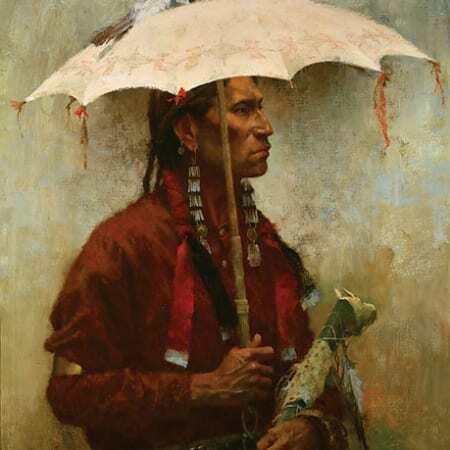 In a successful career that spans seven decades, Terpning has defined western art, most notably the interaction of the 19th century Native American Midwest tribes and the burgeoning westward pioneer movement. 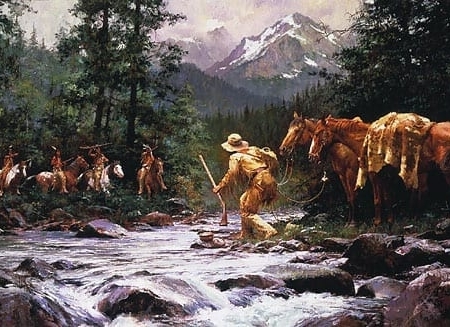 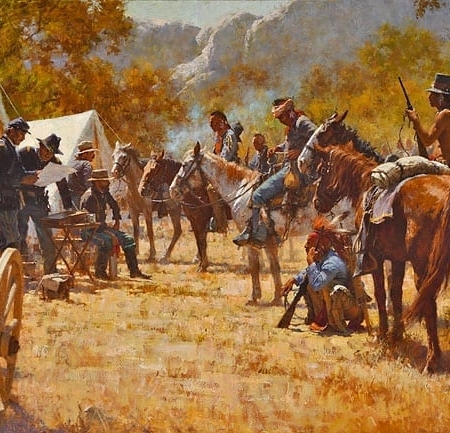 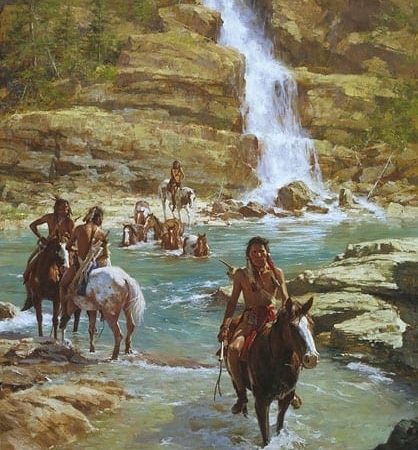 Howard Terpning’s awards for his work, bestowed by colleagues and professional art associations, are numerous – among the three most prestigious include the National Academy of Western Art’s Prix de West, the Lifetime Achievement Award from the Autry National Center, and the Hubbard Art Award for Excellence, not to mention countless awards from the Cowboy Artists of America. 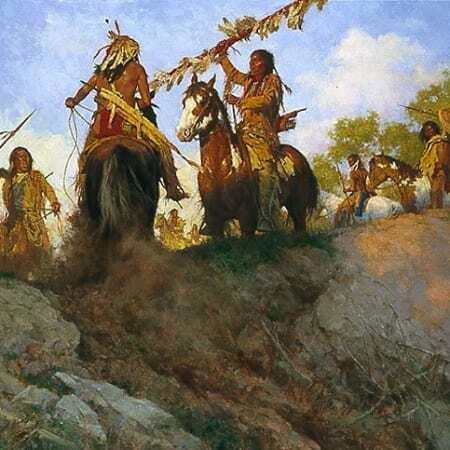 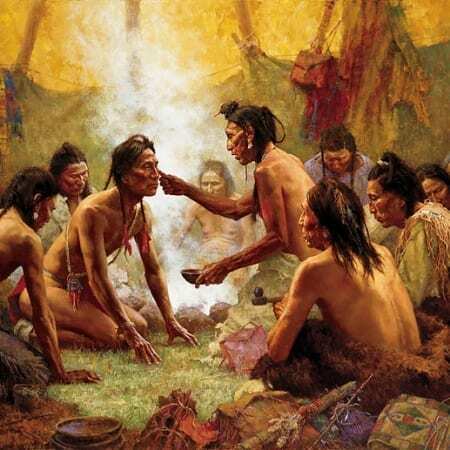 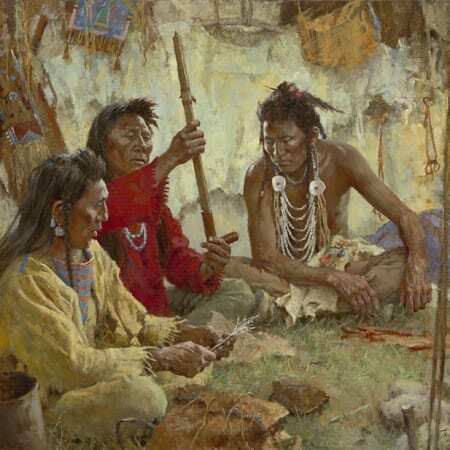 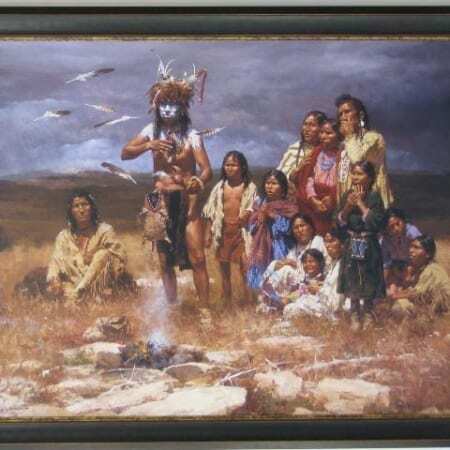 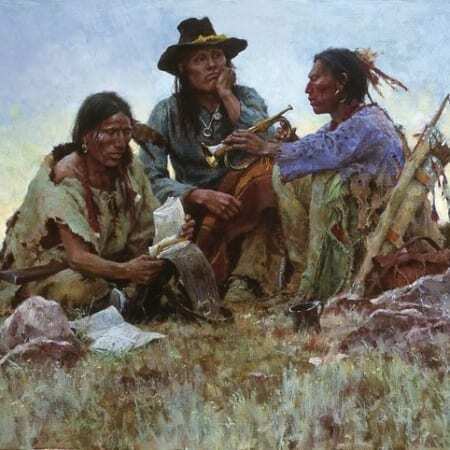 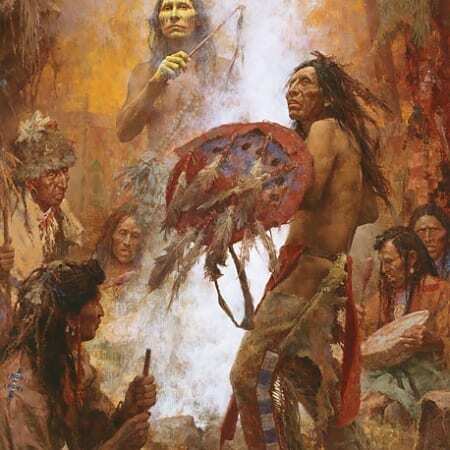 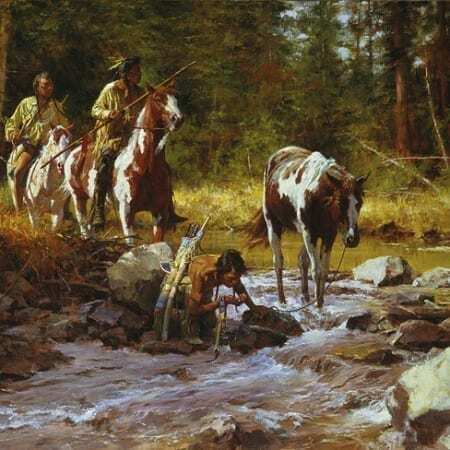 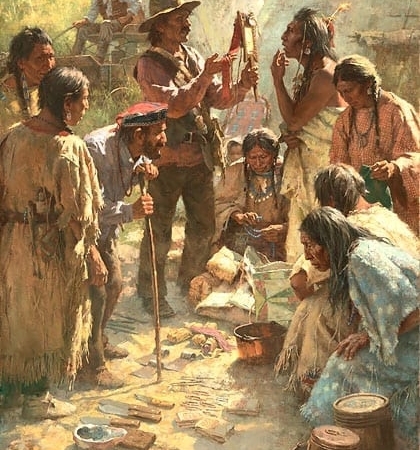 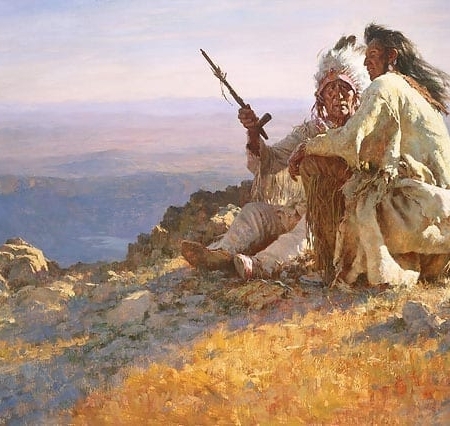 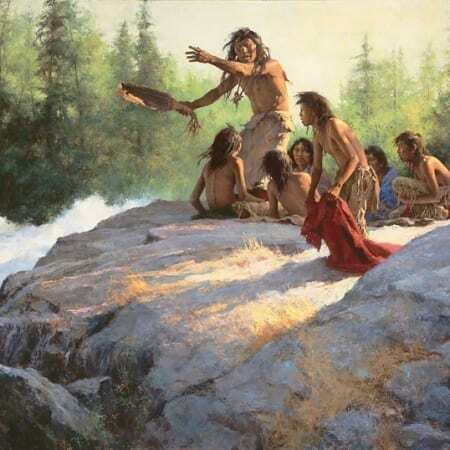 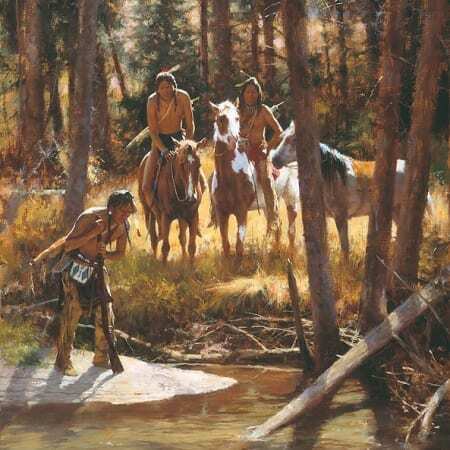 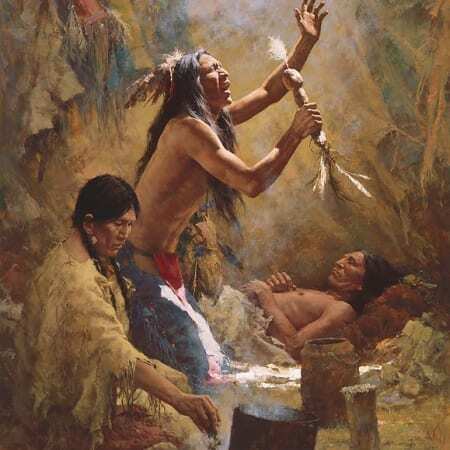 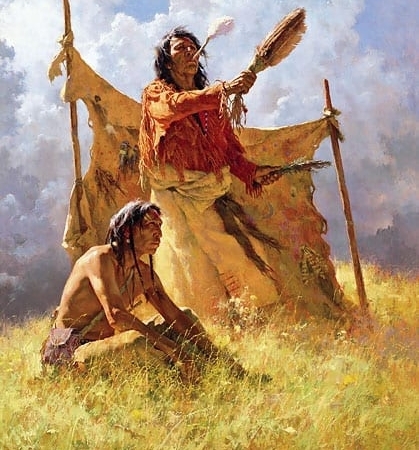 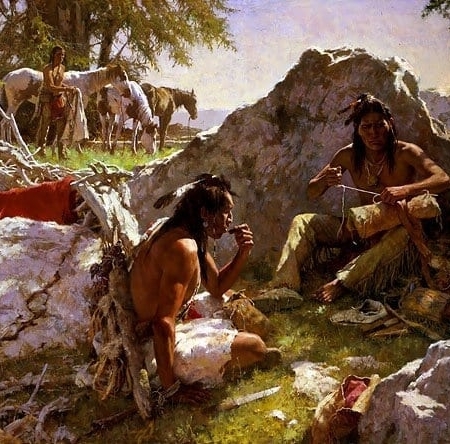 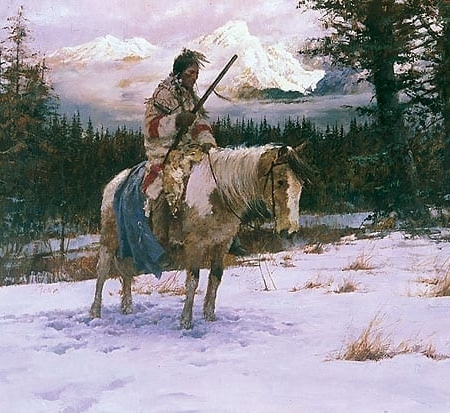 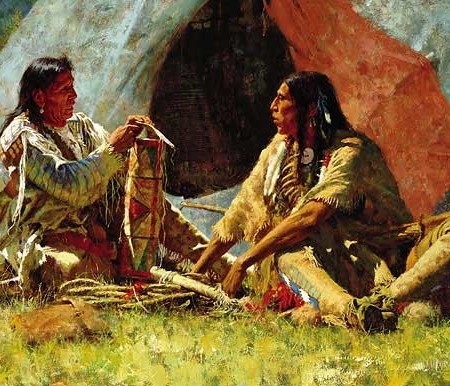 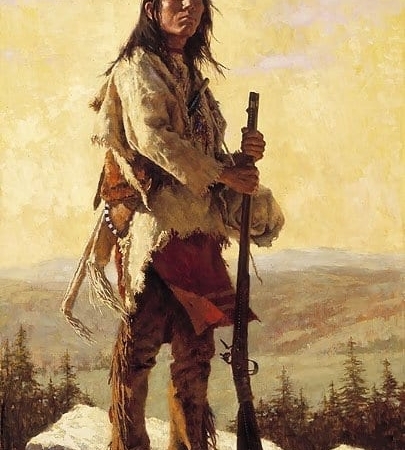 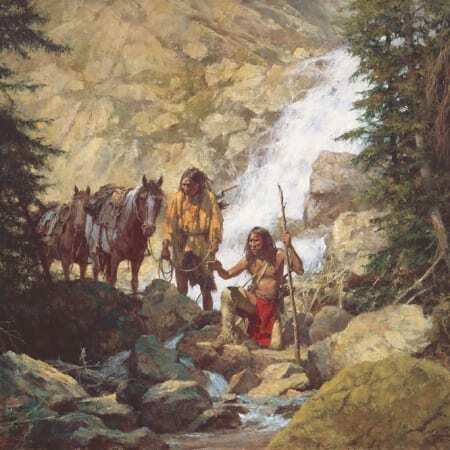 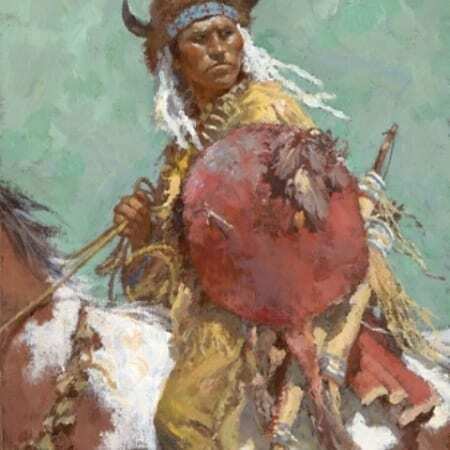 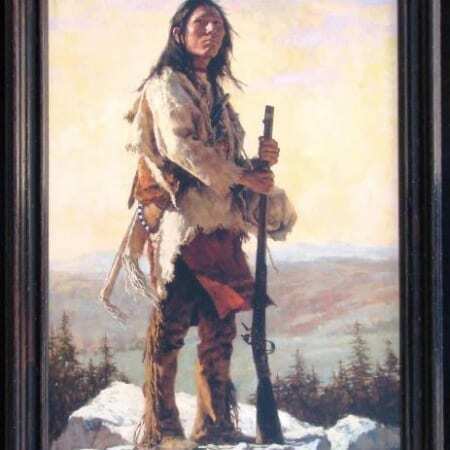 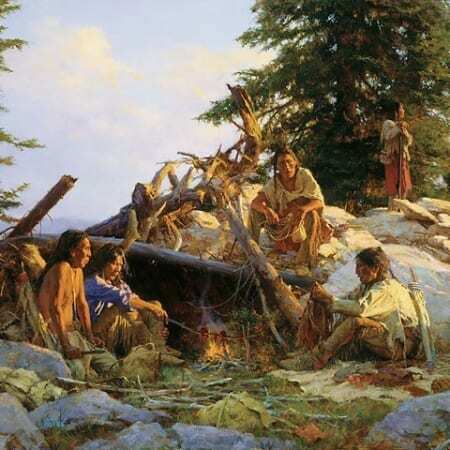 Nicknamed the Storyteller of the Native American, Howard Terpning was educated at the Chicago Academy of Fine Arts and the American Academy of Art. 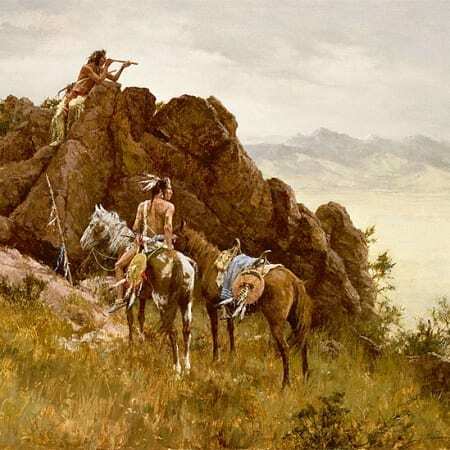 He began a career in professional illustration in the 1950s, gaining attention for his detailed and compelling illustrative work, which included cinema posters for such classic films as The Sound of Music, Cleopatra, The Guns of Navarone, Dr. Zhivago, and the 1967 re-release of Gone with the Wind. 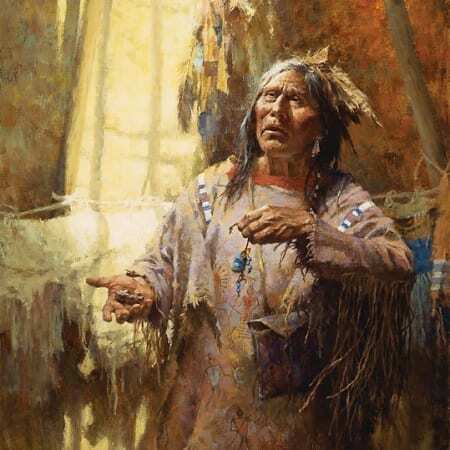 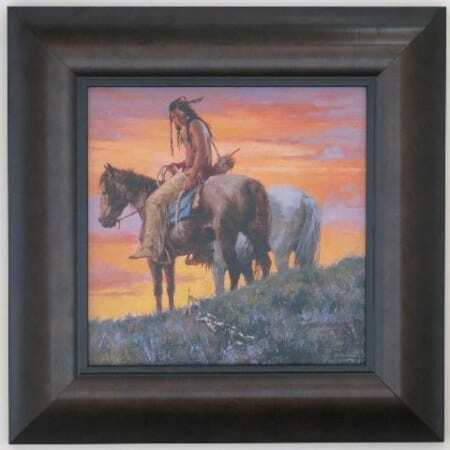 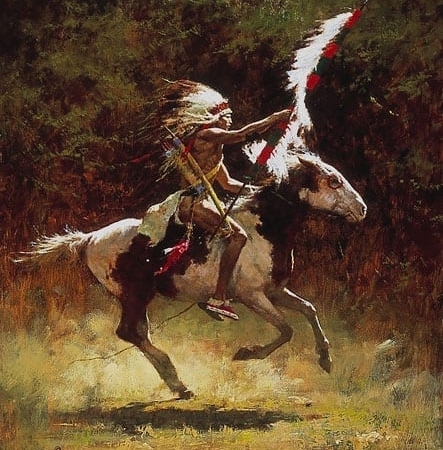 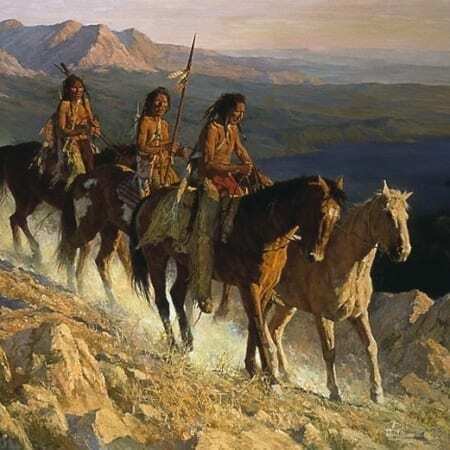 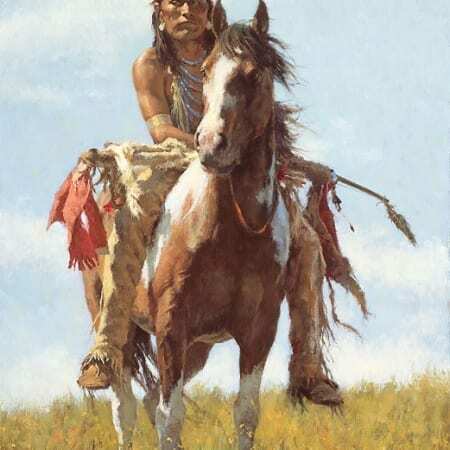 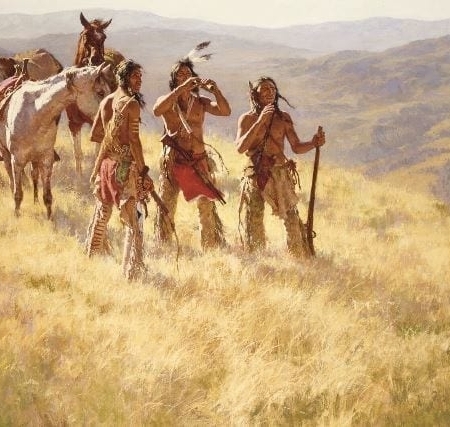 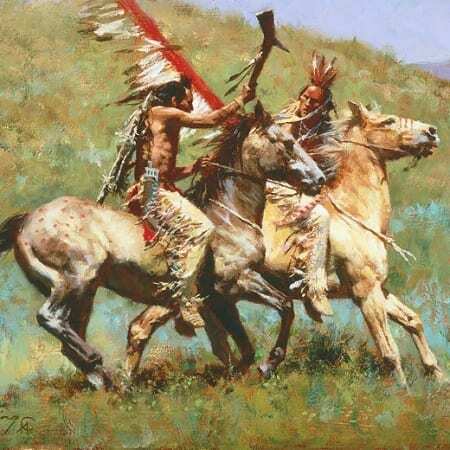 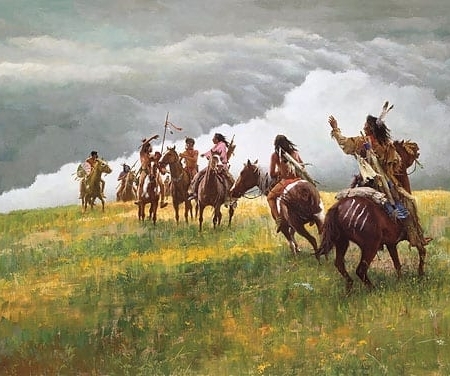 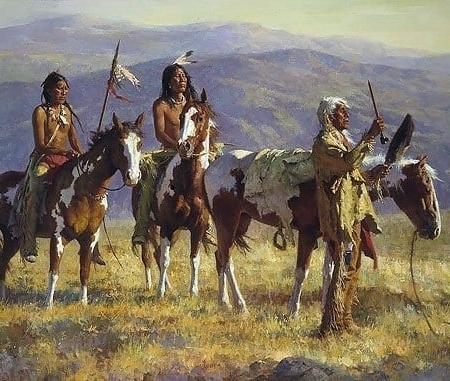 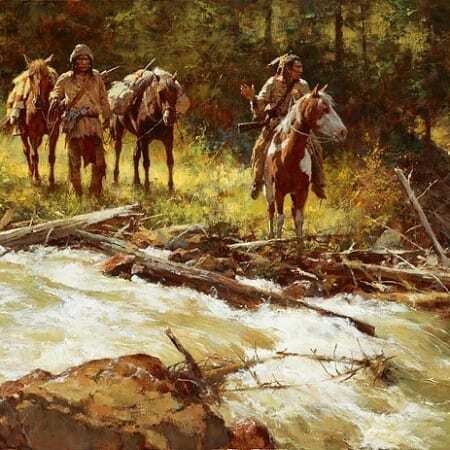 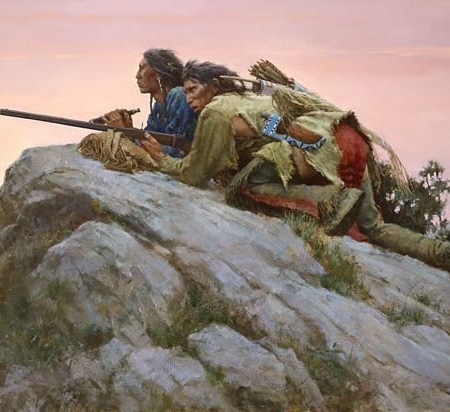 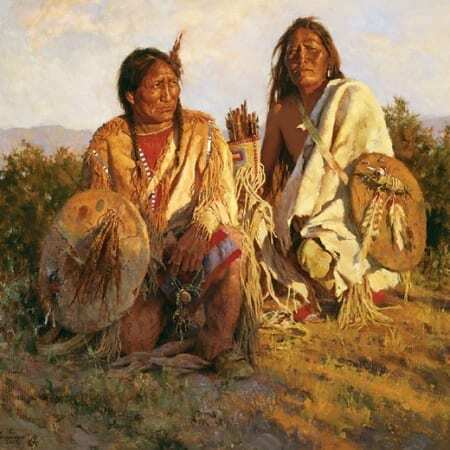 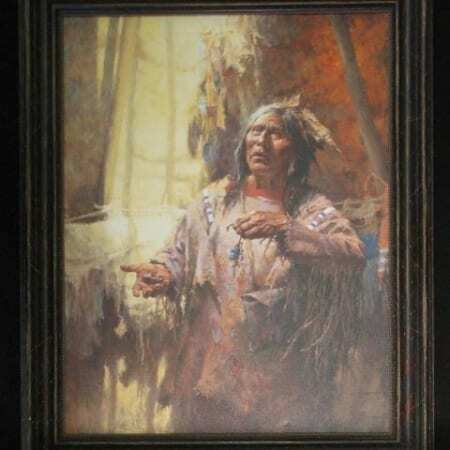 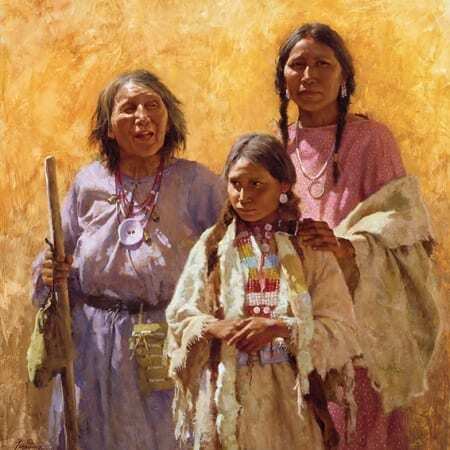 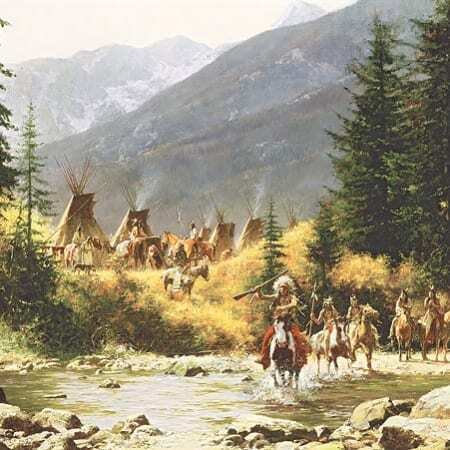 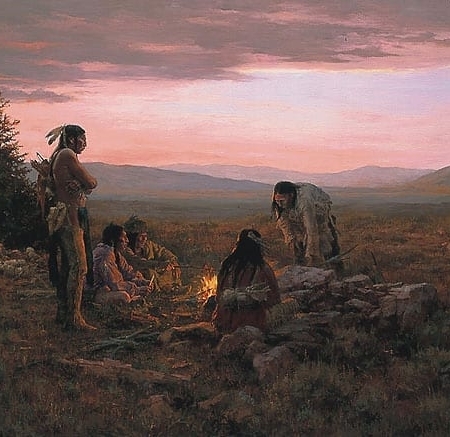 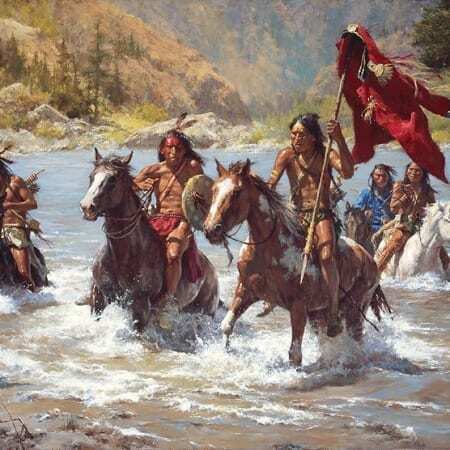 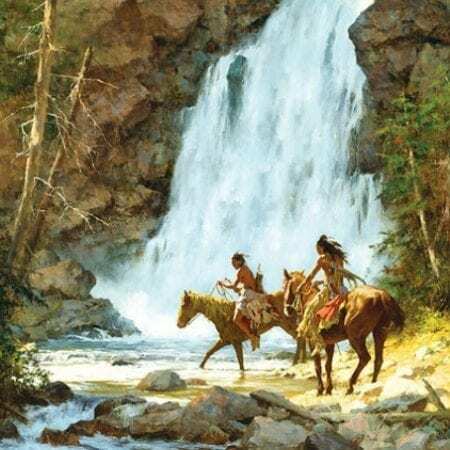 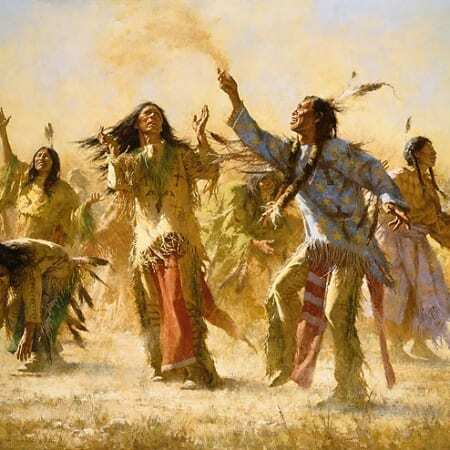 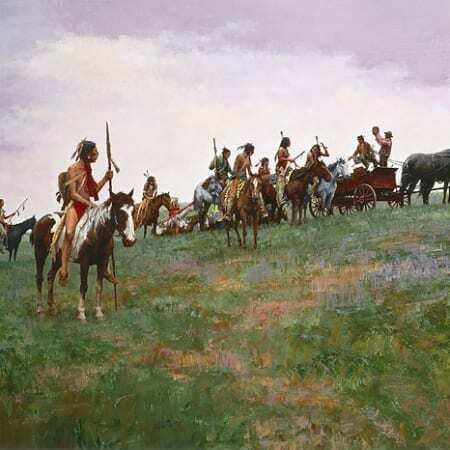 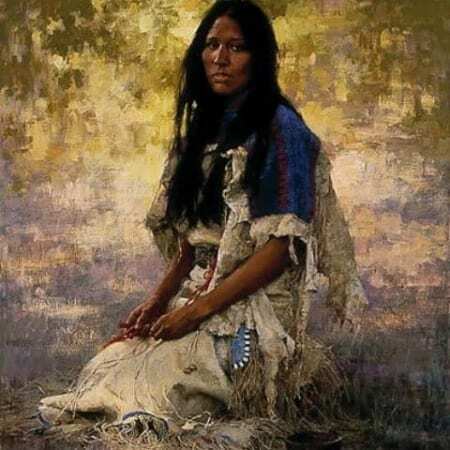 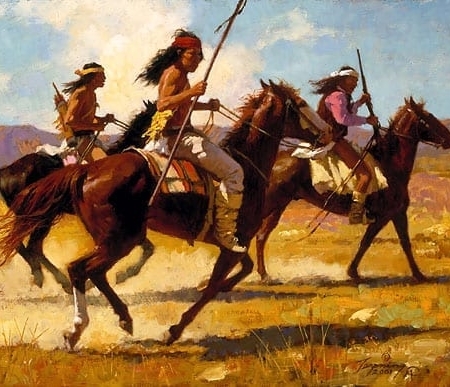 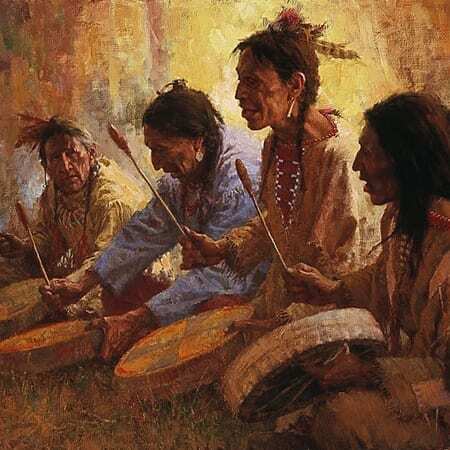 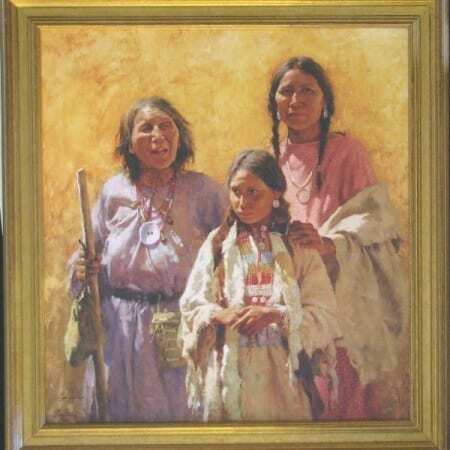 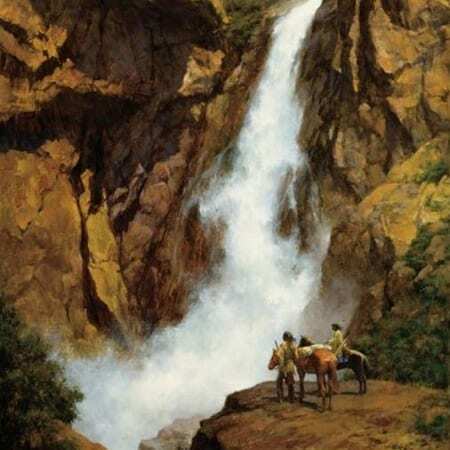 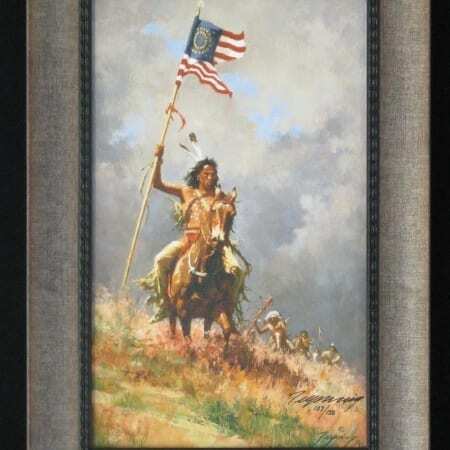 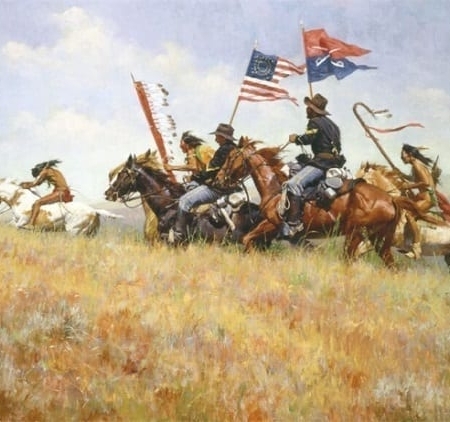 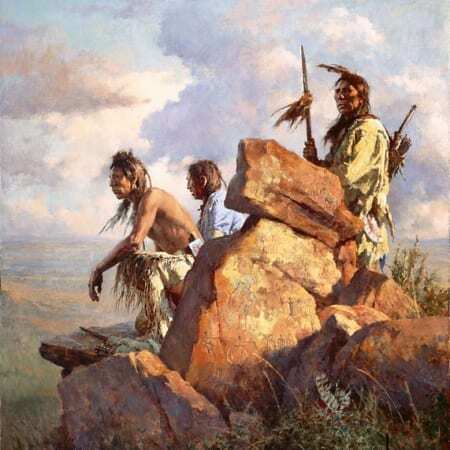 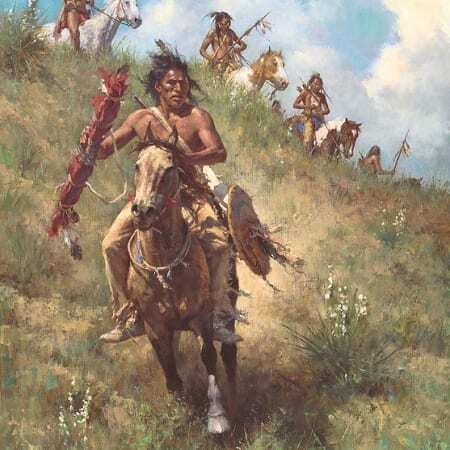 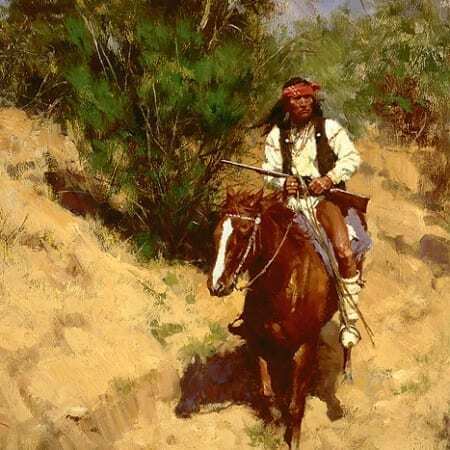 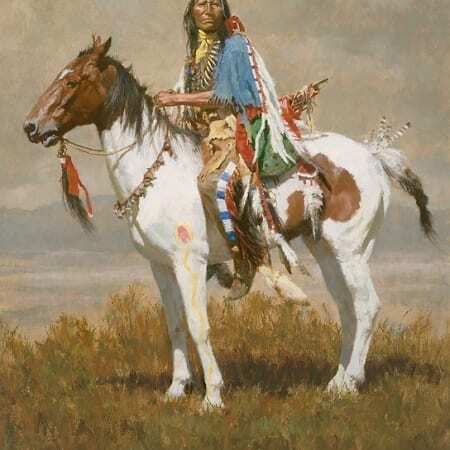 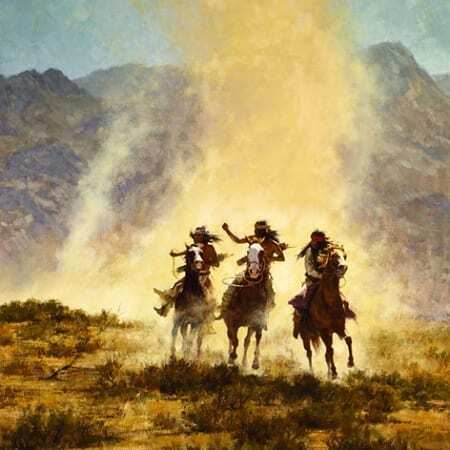 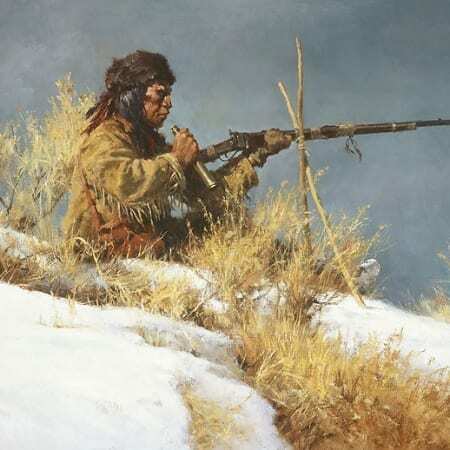 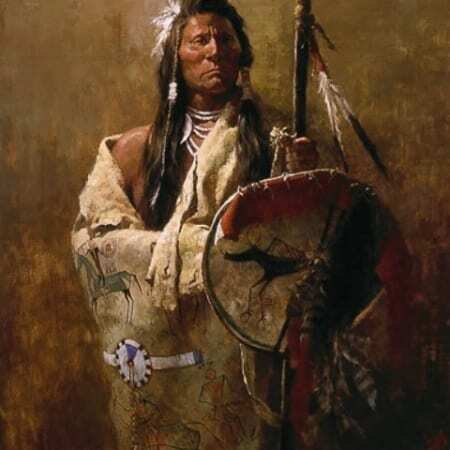 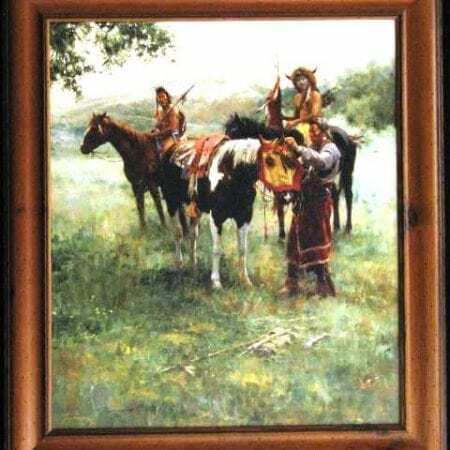 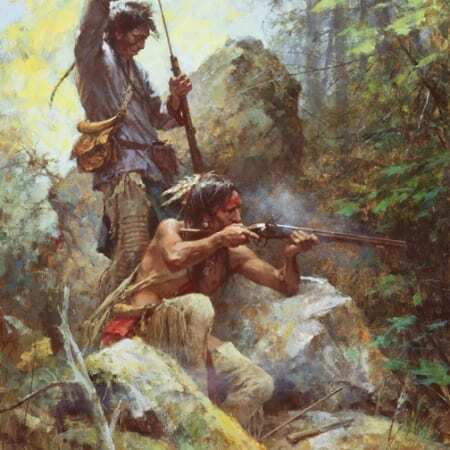 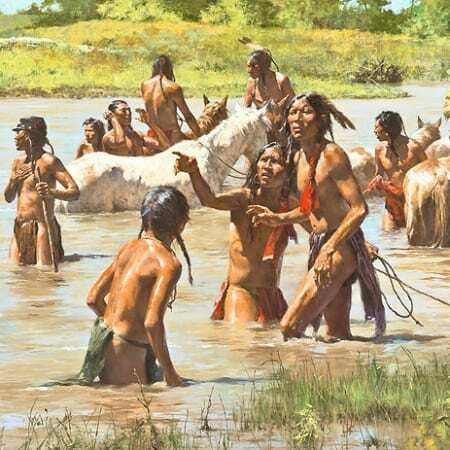 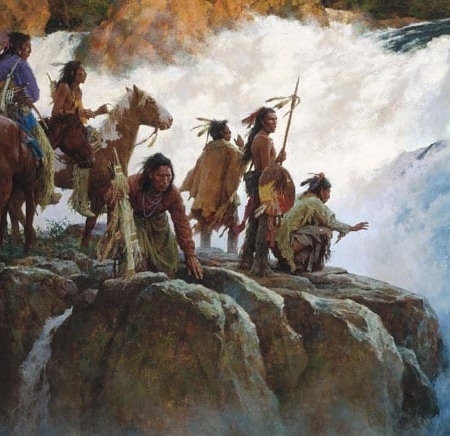 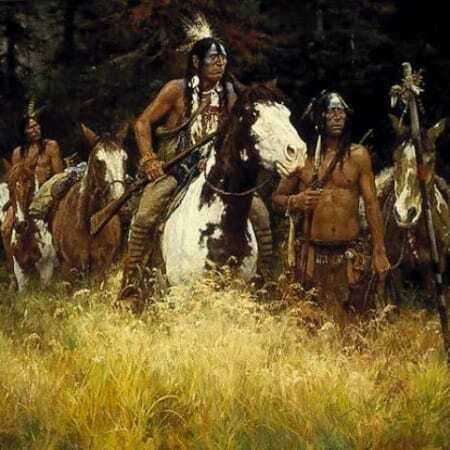 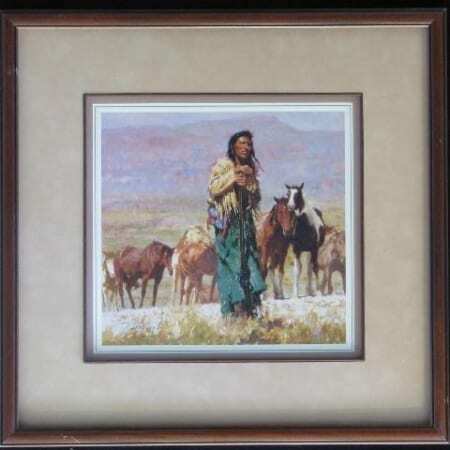 By the mid-1970s, Howard Terpning decided to pursue his passion for Native American history, focusing specifically the American West and Plains Indians, and began creating fine art paintings that he showed and sold in galleries throughout the U.S. West. 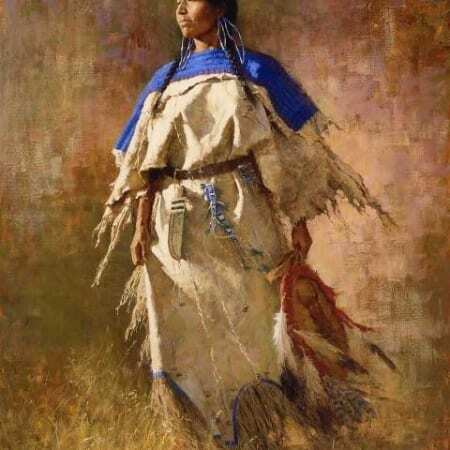 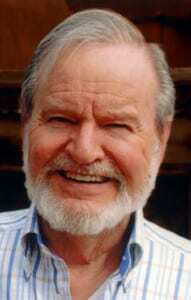 Within three years he left commercial art, moved to Arizona, and launched fulltime into painting the American West. 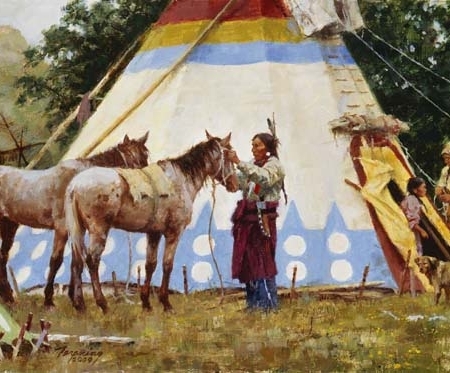 In less than two years, Howard Terpning was elected into both the National Academy of Western Art and the Cowboy Artists of America, the latter organization with which he was actively involved for 22 years, earning 42 awards during that time. 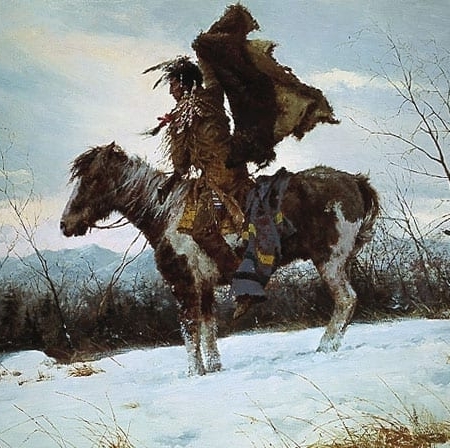 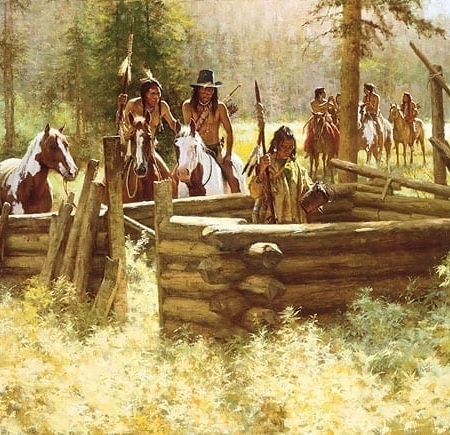 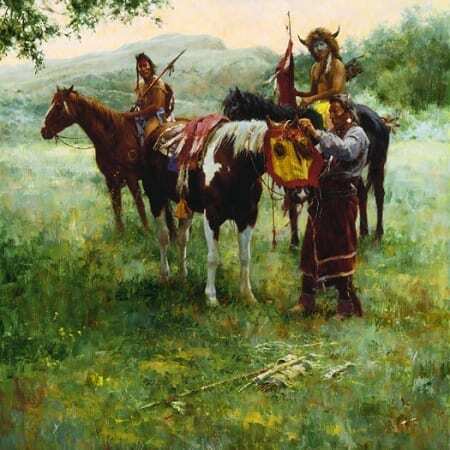 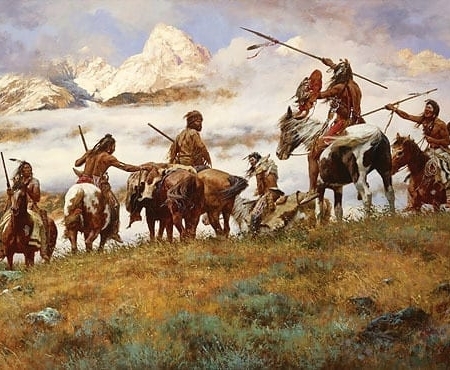 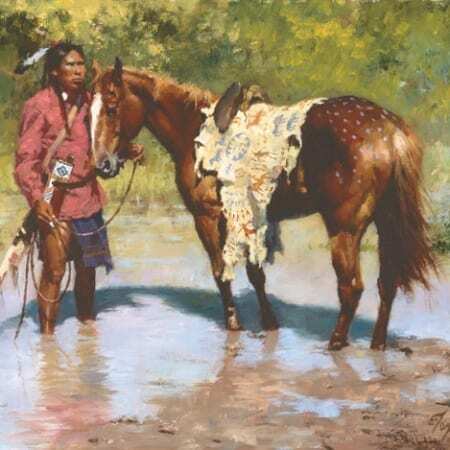 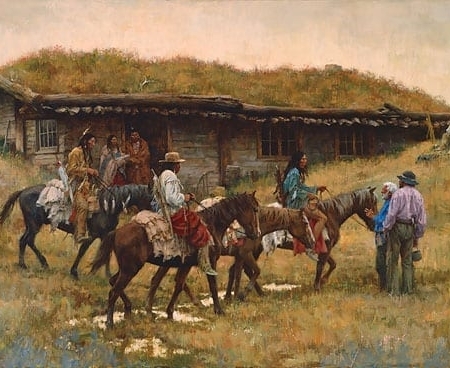 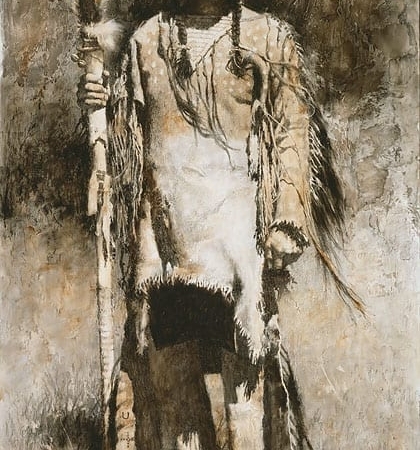 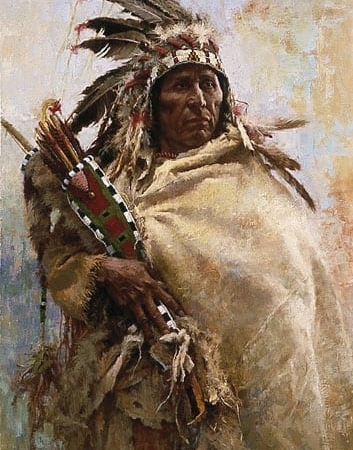 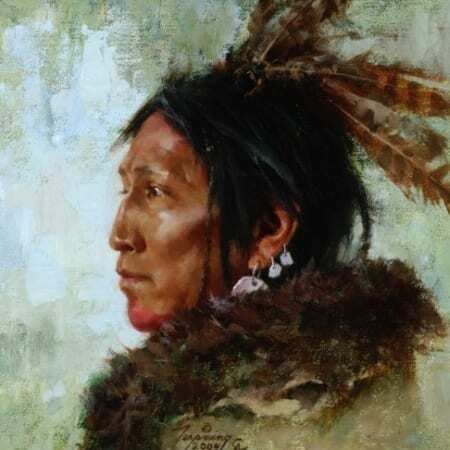 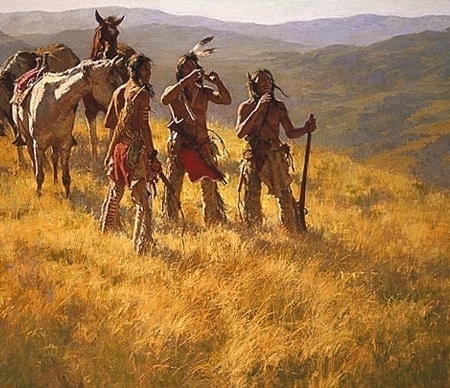 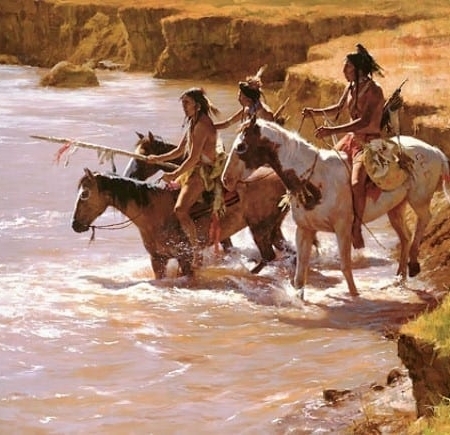 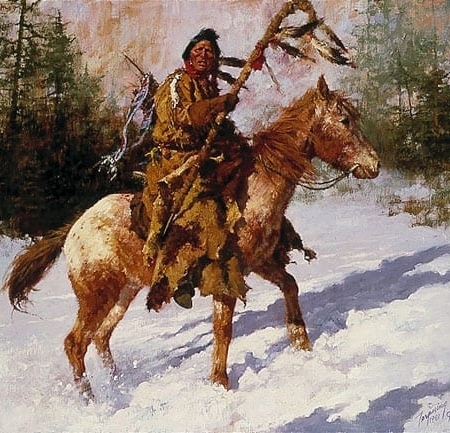 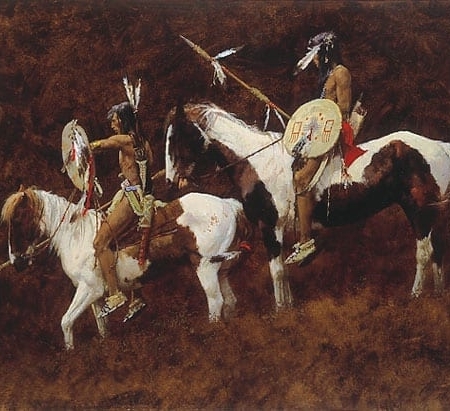 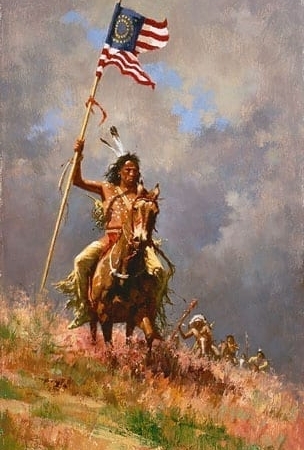 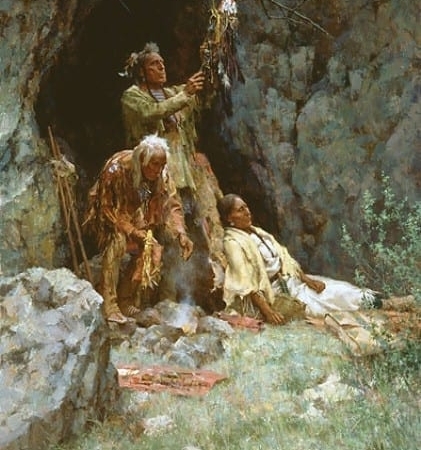 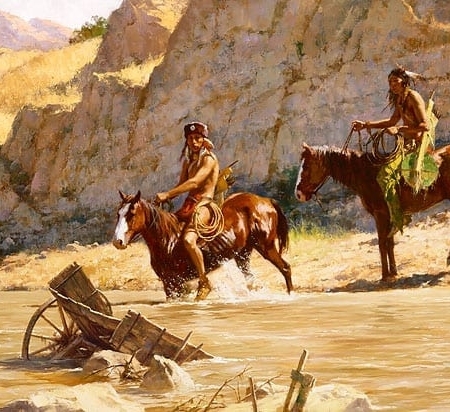 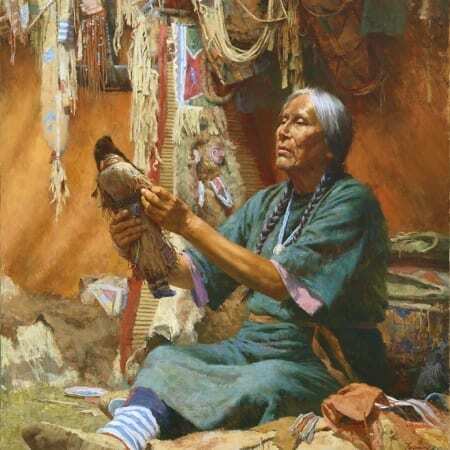 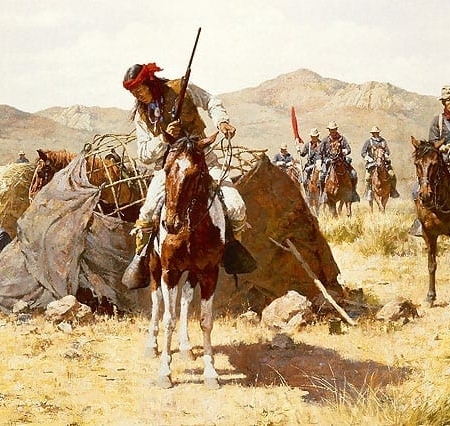 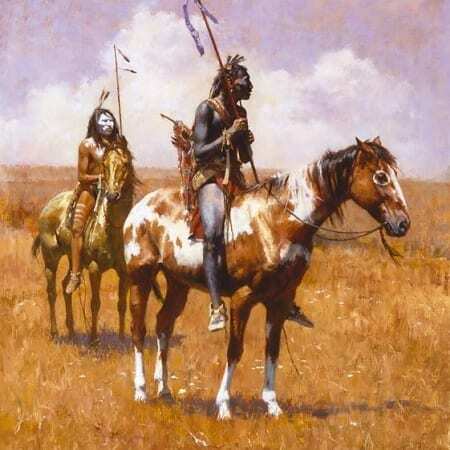 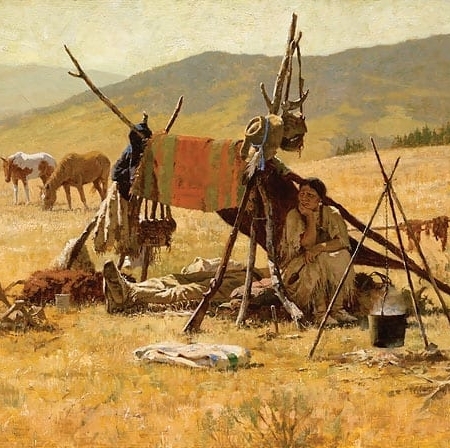 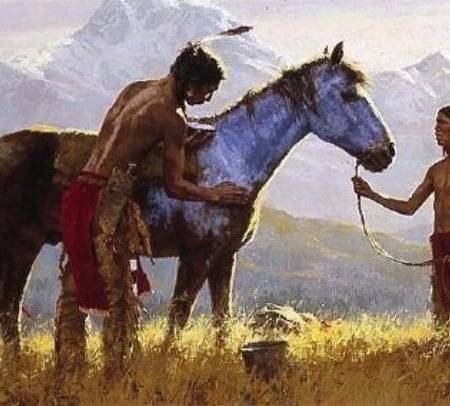 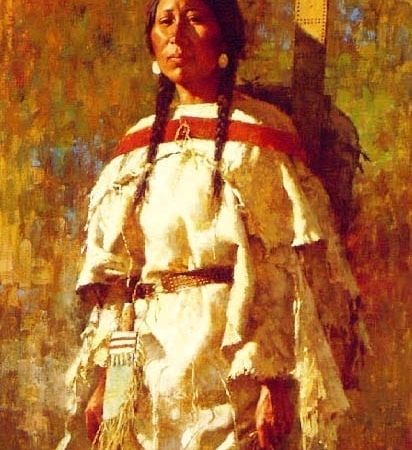 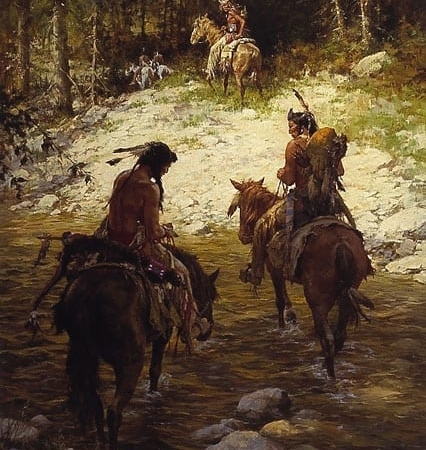 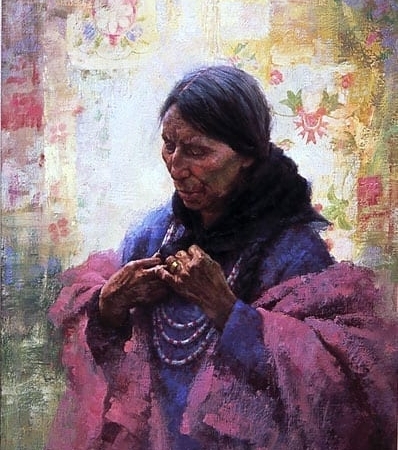 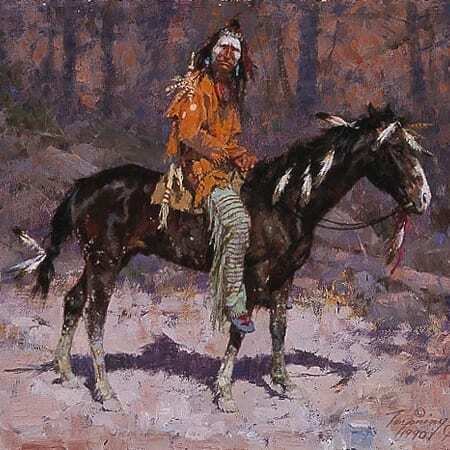 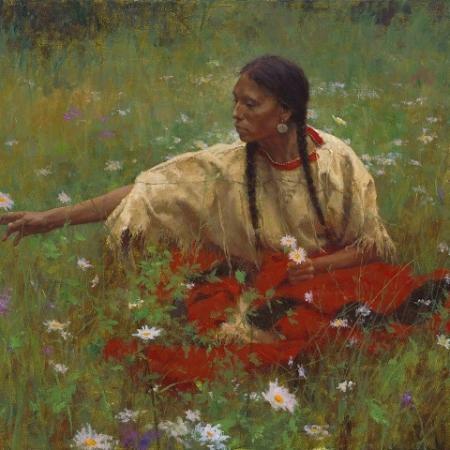 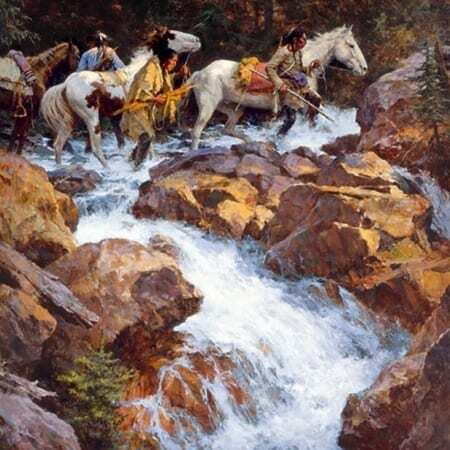 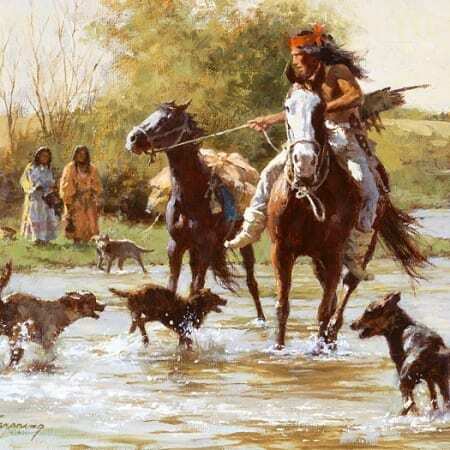 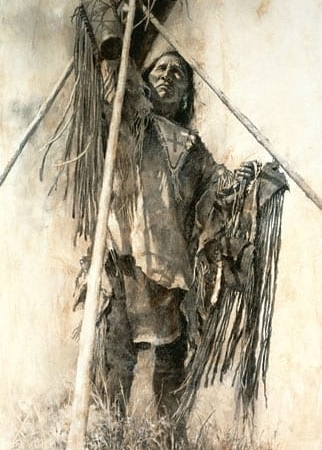 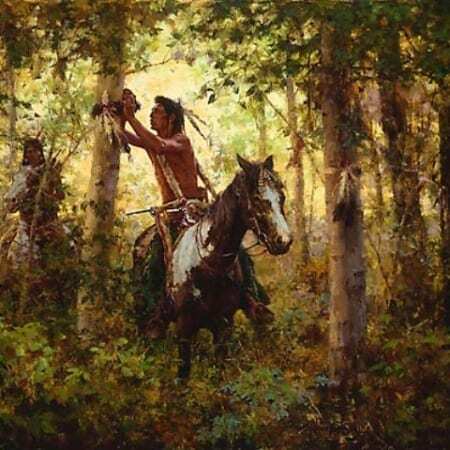 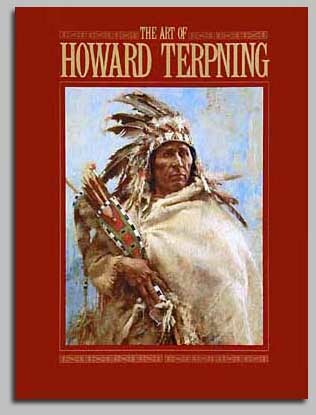 Especially notable exhibitions of Howard Terpning’s work include The Grand Palais in Paris, a special display in Beijing, China, a 1985 retrospective at the Gilcrease Museum in Tulsa, Oklahoma, and a one-man show at the Eiteljorg Museum of American Indians and Western Art in Indianapolis, Indiana. 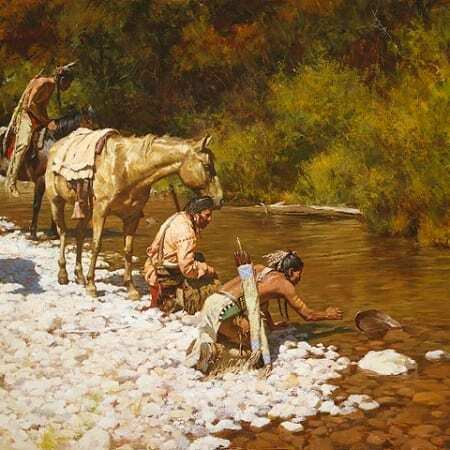 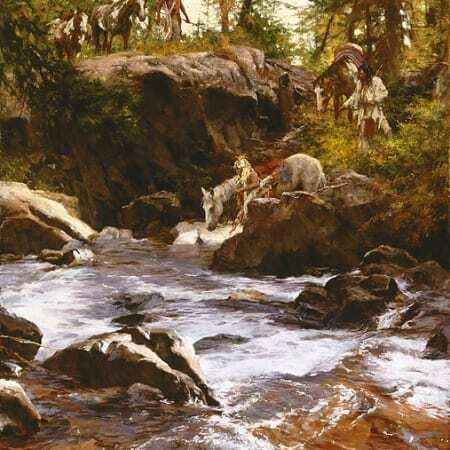 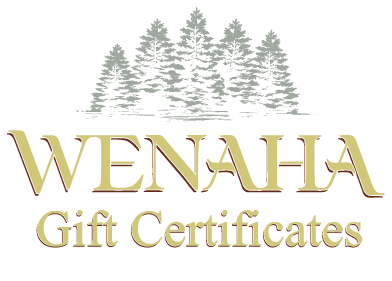 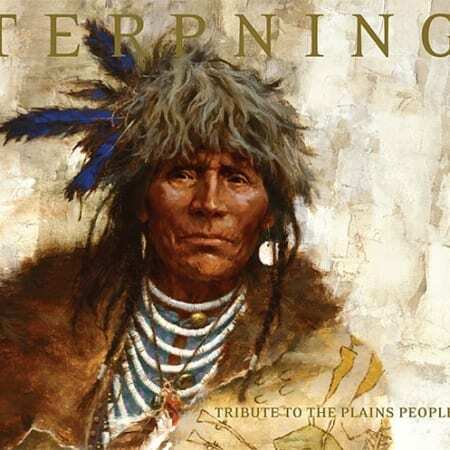 Wenaha Gallery carries a large and diverse selection of Howard Terpning fine art editions, published through Howard Terpning’s own, Fine Art Publishing. 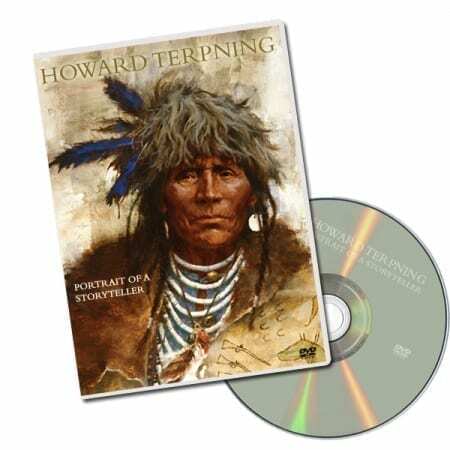 Lose yourself in the history of the American West, and enter into the unique, unforgettable world of Howard Terpning.